went for the parisian look this past weekend! threw on a striped shirt with a blazer, flats (been wearing these non stop!!) and a subtle dab of red lipstick on the lips to complete the look. there's just something about stripes and the color red that gives off the Parisian look. NOW...if only my backdrop was the eiffel tower it would have completed this look! you look amazing and lovely~! the stripes, skinnies, touches of gold here and there, and those shoes- killer. LOVE! thank dear :) you always say the sweetest things! 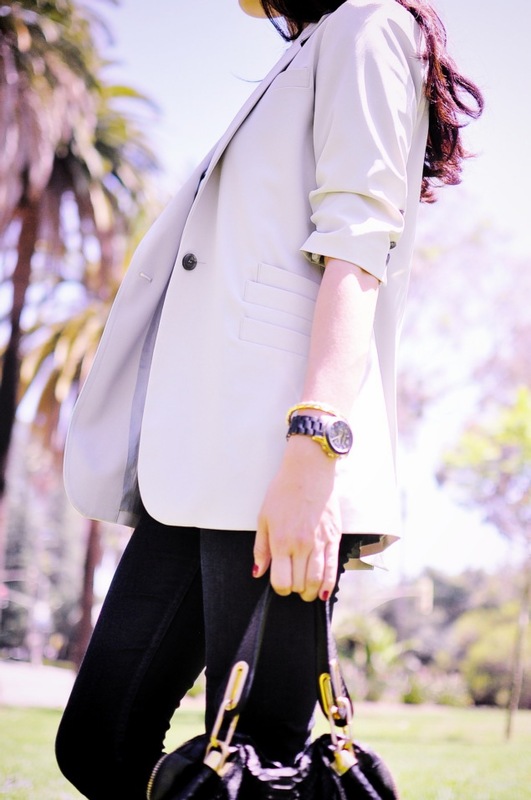 Love the short sleeved blazer! So cute! This combination is a favorite of mine. Can't go wrong with a striped top and blazer. i agree! 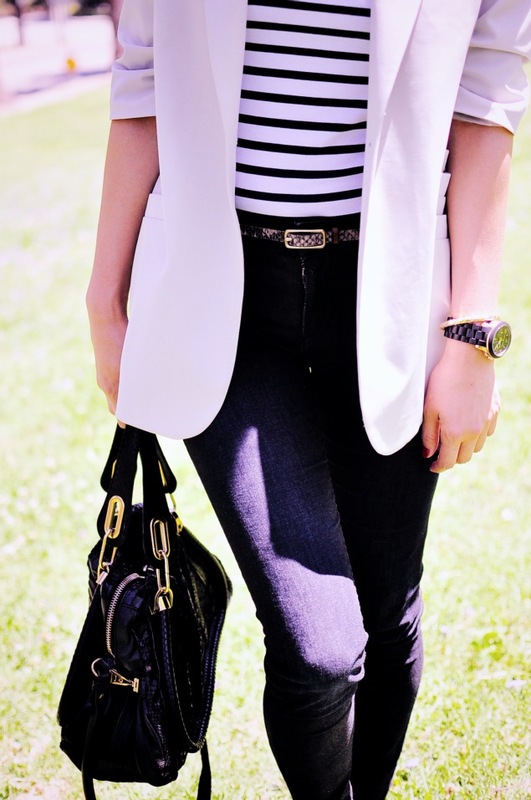 you can easily dress up the stripes with the blazer! Very chic, indeed! Those Chloe sandals and your accessories totally made the look! Love this look, so simple and clean! This look is so classic! It definitely suits you, Jin. Gorgeous photos, as always. Aww I love your sandalss..! !